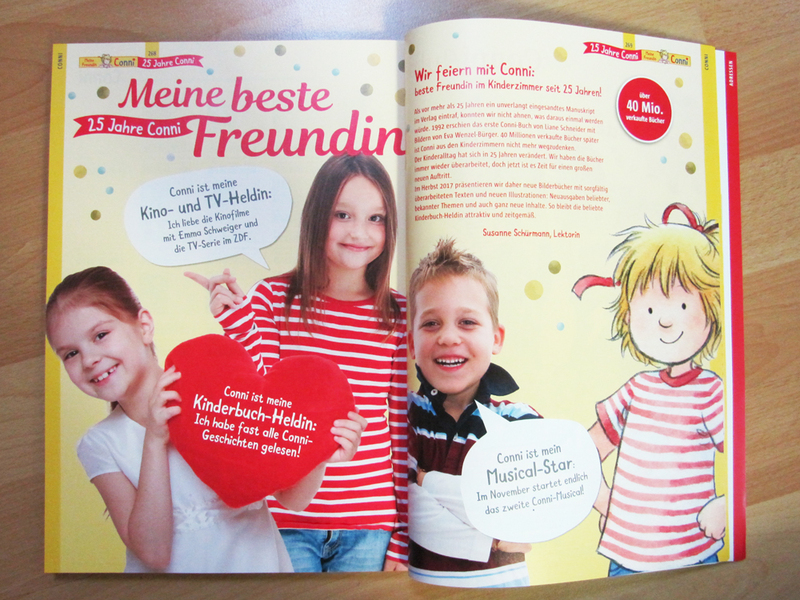 So here’s some biiiig news we’ve been wanting to share for months now, and it’s finally official: Marc and I are illustrating the new picture books of “Meine Freundin Conni” (“My friend Conni”) by the German publisher Carlsen, which will come out this year in September! 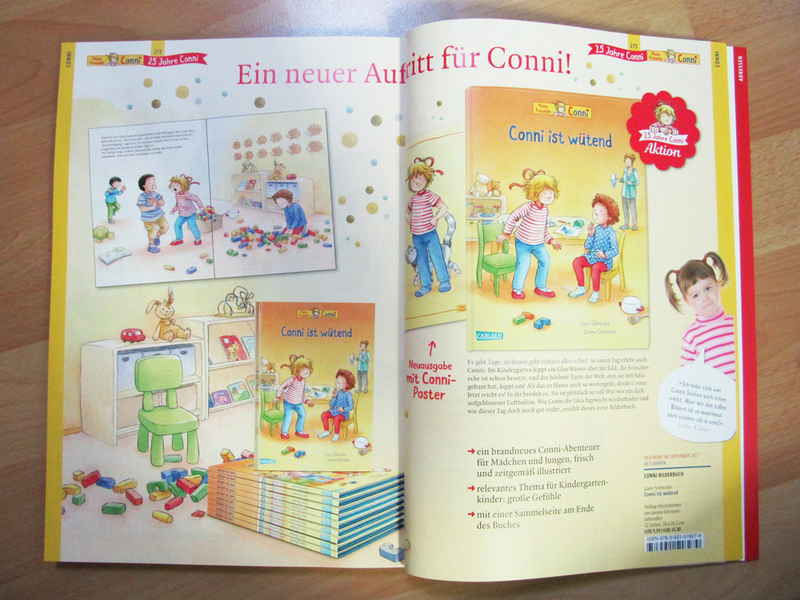 In case you don’t live in Germany or you simply don’t have children within the age range to know Conni, here’s why this is such great news: Conni is one of the most famous German children’s book characters around at the time, created by Liane Schneider and Eva Wenzel-Bürger. The first book featuring her came out 25 years ago and since then it has expanded into a massive universe with picture books for very small children, to children’s books, to novels for teens. Children can follow Conni on her everyday adventures and basically grow up with her. Apart from the books, there’s also a musical (with a second one debuting this year), a TV show and two movies. As you can see, it’s quite a big deal among children. 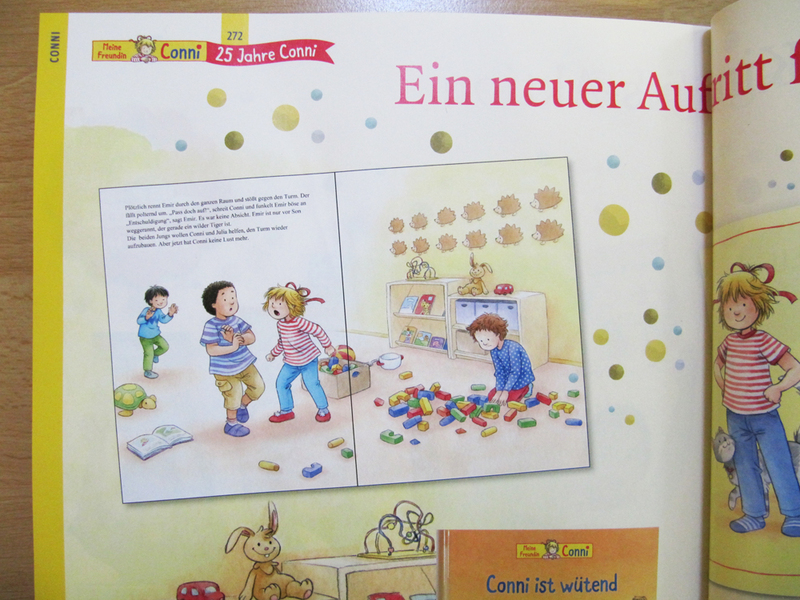 What we’re doing is the picture books for children from ages (approximately) 3 to 6 years old. 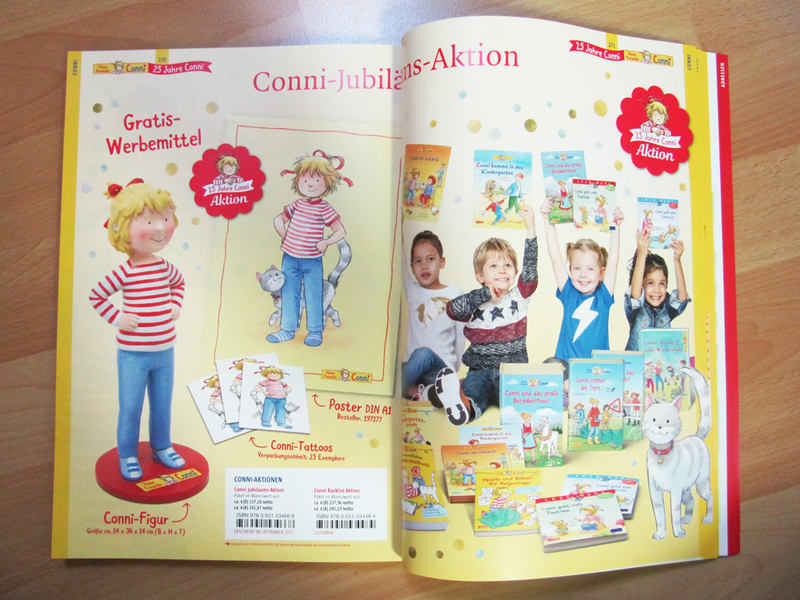 Up until now, those books were still mostly done by Eva Wenzel-Bürger, but the publishers decided that it was time for a fresh makeover. 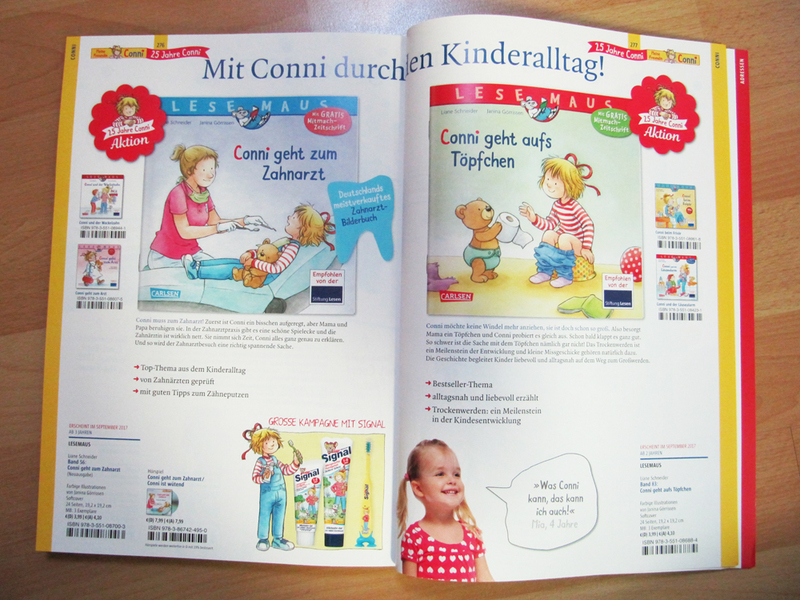 These are the titles that will be coming out in September: “Conni kommt in den Kindergarten” (“Conni goes to kindergarten”), “Conni ist wütend” (“Conni is angry”), “Conni geht zum Zahnarzt” (“Conni goes to the dentist”) and “Conni geht aufs Töpfchen” (“Conni goes potty”). 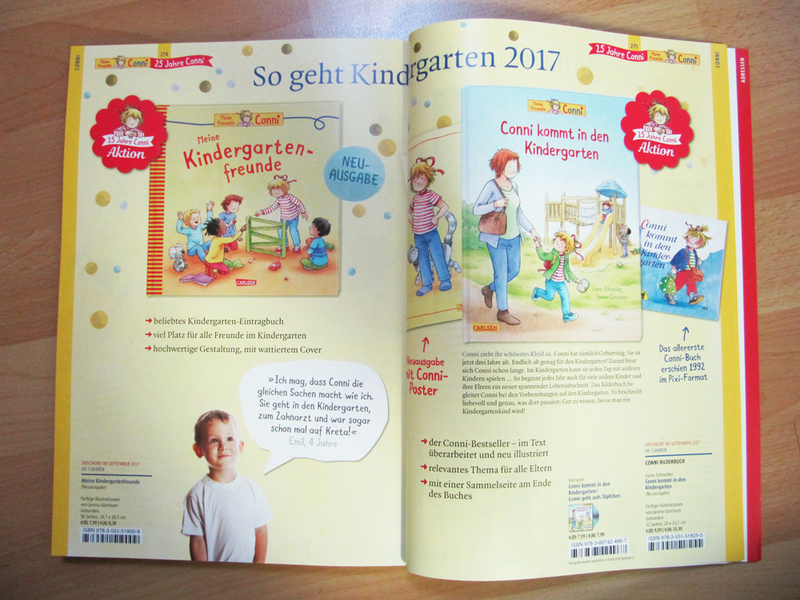 Two of them are new versions of beloved, already existing books (“Kindergarten” and “Dentist”), the other two are completely new stories by the original author, Liane Schneider. So anyway, we’re really super excited! It’s so much fun to draw this character and her world, so we hope we’ll be able to make much more of them! And of course, we hope the readers like the new style. As I said, Marc and I work on this together – even though the title only has my name on it (but Marc’s will be featured in the books’ imprint). While I decide the layout of the pages and draw the characters, Marc draws the backgrounds and gives tham that quirky, slightly organic feel. Then the pages go back to me for coloring.